This event was news to me. Wonder if the film is any good. Anyone know more about the original tour? Nice film on the site. A repeat of the tour is planned for 2015. Apparently the participants are already set. My Grand father was issued permit no. 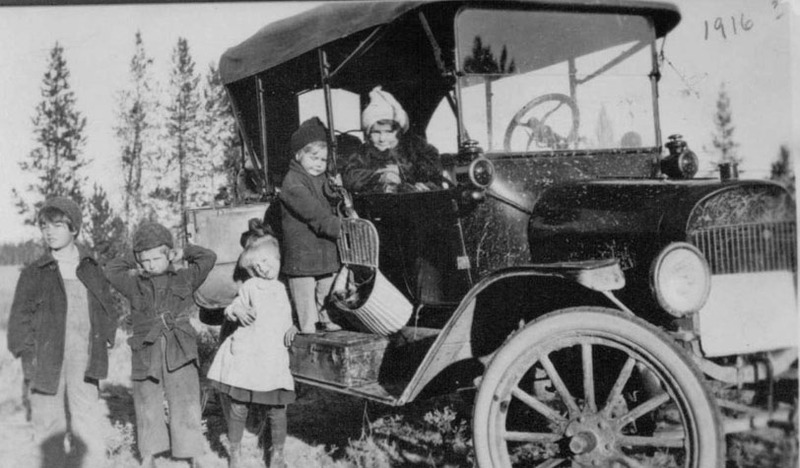 1 for his Model T Ford in Yellowstone park in 1915. 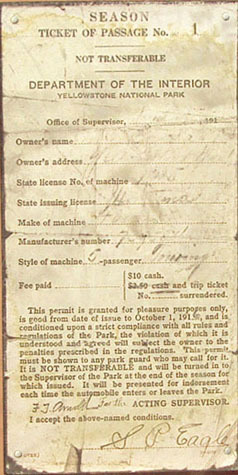 The permit is on display at Nes Perce creek in the Park. My Father is the fellow on the left in the photo of their car which apparently had a radiator replaced due to freezing shortly after it was purchased. Granddad started a business in West Yellowstone in 1908 and is still family owned today. What a wonderful piece of family history to have ! Pretty good, still costs $10 to get in, though not for the whole season.